PRICE REDUCTION - Seller says, "lets get this home sold"!Welcome to your mountain retreat! This cozy home in the foothills of Conifer has 2 bedrooms and 1 1/2 baths on the upper level and a large living room overlooking spectacular views. Sit on the deck with a cup of coffee and take in the peace and quiet of the surrounding mountains.The kitchen has all new appliances and newer laminate counter tops. The walk-out basement consists of a 3/4 bath, family room with walk-out access, a den/study and laundry hook-ups. 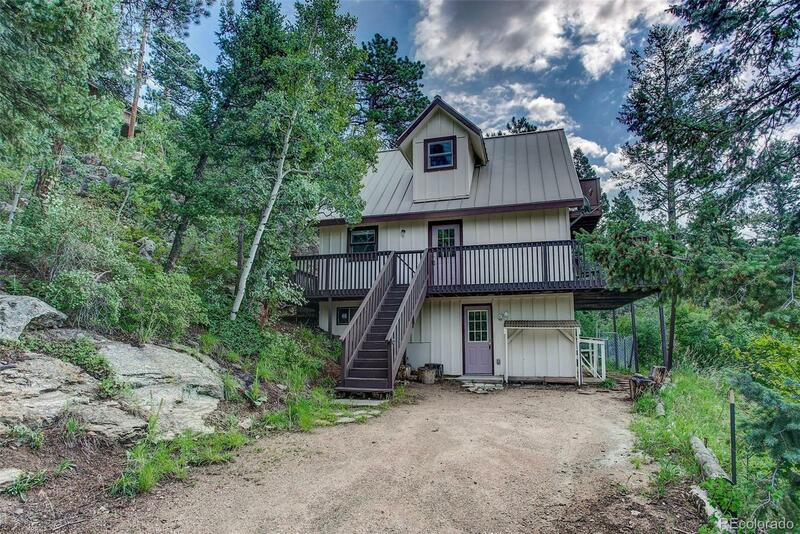 Located on almost a half acre, this property offers a mixture of pines & aspens. The Kings Valley neighborhood offers all paved roads, and is close to HWY 285. Easy access to your favorite mountain activities including fishing, hiking, ski resorts & an easy, all highway, commute to Denver. Great starter home, or use as a mountain getaway 2nd home.